MHA IB ACIO Result: Ministry of Home Affairs declare result of Intelligence Bureau Assistant Central Intelligence Officer Grade-II/Executive Exam (IB ACIO-II Executive) 2017. IB ACIO Interview had conducted from 28th May to 19th June 2018. 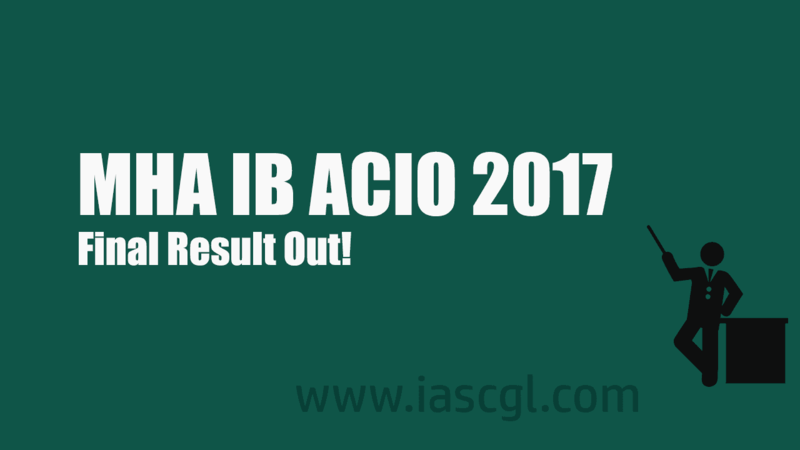 How to Check IB ACIO Result 2018? or a direct download link given below.